In Tell Me What You Read I interview well-kenned folk in public life about how their reading has shaped their lives, in the past and now. 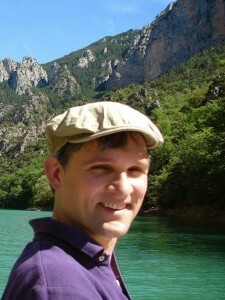 David McKay, literary translator of Stefan Hertmans’ War and Turpentine, and Everything to Nothing by Geert Buelens. Tell me which authors, or what reading, you can see now were influential in your life and career? I’ve been thinking recently how lucky I am to have read so much of Mark Twain’s writing so early in life. A lot of children have Tom Sawyer and Huckleberry Finn foisted on them at an early age because they’re supposed to be children’s books. But I preferred fantasy and science fiction as a child, and maybe for that reason, the Twain books that made the deepest impression on me were A Connecticut Yankee in King Arthur’s Court and The Mysterious Stranger. Both have elements of the adventure story, as well as a lot of very funny moments, but when I returned to them later in life, I was surprised to find that both are inflamed with rage and bitterness about the human condition, and more specifically about the inhumanity and hypocrisy of what Twain called the ‘damned human race’. 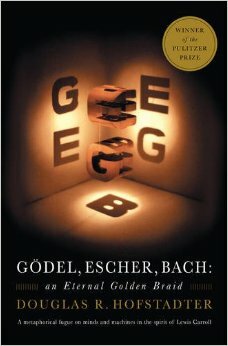 There are two other authors I have to mention – the first is David Hofstadter, whose book Gödel, Escher, Bach fascinated me in high school, and who turned to the subject of translation, in Le Ton beau de Marot, around the time that I became a professional translator. Hofstadter draws fascinating connections between translation, personal identity and the nature of creativity, and his explorations have helped me to appreciate the philosophical dimensions of my modest craft. Annie Dillard’s memoir An American Childhood combines the elusive sense of waking up to the world around you as a child with a vivid openness to the possibilities of language, the richness of human experience and the mystery of the zone where language and experience meet ­– a zone intimately familiar to writers, including translators. What or who do you read to forget about the world, to escape? In recent years I seem to be getting fussier — I can only take so much of the competent but bland writing in a John Grisham novel or the Game of Thrones book series. Fat 18th– and 19th-century novels seem to be the most reliable means of escape: Trollope (Phineas Finn, The Irish Member), Thackeray, Dickens, Wilkie Collins, George Eliot, Herman Melville, and of course Jane Austen. Sometimes I think the whole point of an e-reader is that you can download the Western canon from Project Gutenberg. I also enjoy curling up with twentieth- and twenty-first-century writers who can communicate the texture of a time and place and community the way Austen does. 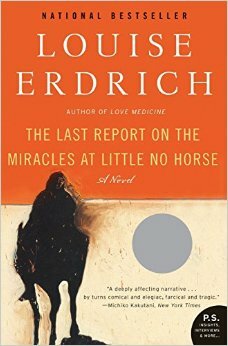 Louise Erdrich (The Last Report on the Miracles at Little No Horse) and Jhumpa Lahiri come to mind, along with Carol Shields (Happenstance) and of course Alice Munro. There’s also something very relaxing about tales of other people’s gruelling long-distance walks. To gear up for a trip to Japan I read The Roads to Sata and Looking for the Lost, Alan Booth’s engrossing books about exploring Japan on foot. Exceptionally good science fiction and fantasy can still take me away to another world too: the compelling characters and richly conceived settings in Kim Stanley Robinson’s books (particularly The Years of Rice and Salt) make it hard to believe that he hasn’t walked on Mars and lived through alternate histories himself. I’m enthralled by China Miéville’s hallucinatory cities, and I cherish the way Jo Walton combines science fiction and fantasy elements with realistic narratives that feel very close to home. What reading do you choose for a long journey? Sometimes a long journey gives me the opportunity to read a book that requires persistent, relatively uninterrupted attention. I recall the otherworldly experience of reading Iain McGilchrist’s The Master and His Emissary cover to cover on a transatlantic flight and gaining a radical new way of thinking about the human mind. 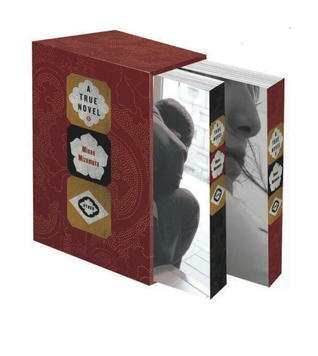 Who knows whether I would ever have made it through the book otherwise? These days, I often try to pack light by bringing my e-reader, but that raises nail-biting questions: What do I do if I run out of power and can’t recharge? What if they won’t let me use it on the plane? For that matter, what if it breaks? One strategy is to have a little volume of poetry in reserve – because once I’m done with a novel, short stories, or non-fiction, I want to lay the book aside at least for a while, but good poetry tends to invite immediate rereading. 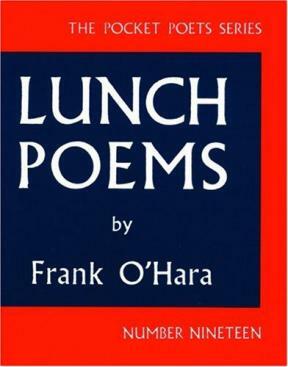 Maybe I would slip my 90g copy of Frank O’Hara’s Lunch Poems into my pocket. But standing in front of my poetry shelves, I would probably give in to impractical temptation and toss a couple of heavy tomes into my carry-on, like Edward Snow’s bilingual edition of The Poetry of Rilke (which I could easily spend the rest of my life reading if circumstances required) and Joy Harjo’s How We Became Human: New and Selected Poems: 1975–2001. Then again, what better traveling companion than Marilyn Hacker, who has proved many times over that rhyme and meter aren’t reactionary and that, even in a world of free verse, the sonnet retains its power to move the heart and delight the mind. 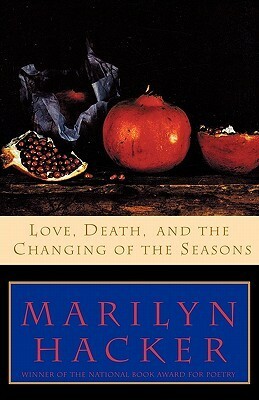 This one is from the collection Love, Death, and the Changing of the Seasons. Your choice of ‘Oh lord I’m bored’ reading? On a drizzly Saturday morning, I might feel ambitious enough to dip into one of those books that are rewarding in small doses but too dense or harrowing to read all at once, like Harold McGee’s magnum opus of culinary science On Food and Cooking or Martin Chalmers’s translations of Victor Klemperer’s diaries of the Nazi years, I Shall Bear Witness and To the Bitter End. On a long, lethargic Sunday afternoon, I might reread just about any Graham Greene novel, but especially Travels with My Aunt. On a Thursday when I’m alone in my home office and don’t feel like working, I might open up Will Eno’s monologue Title and Deed and read a few pages out loud to myself. On a Friday evening at home, I could open up Ted Gioia’s The Jazz Standards: A Guide to the Repertoire. What was your last huge reading disappointment? I’ve recently been looking carefully at a lot of recent literary translations, which is enlightening and often humbling for me when I see the skill, integrity, and imagination that some of my fellow translators show. But it can also be distressing — for example, when a well-known, experienced, prize-winning translator makes a hash of something, and I strongly suspect that he or she could have done better and just didn’t take the time to do the job properly. We’re talking about basic misreadings of words in the original language, word-for-word translations that don’t make much sense in English, ambiguities introduced by the translator — embarrassing things like that. Every translator slips up in these ways occasionally, but not over and over again with such frequency. 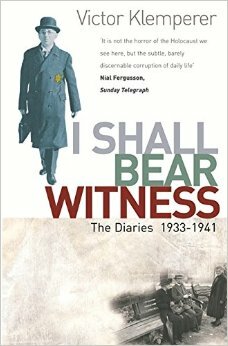 This is doubly distressing because, in at least one case, I think the original book really merits a first-rate translation. By agreeing to do the translation and then producing shoddy work, this translator has stood in the way of somebody else doing the job, somebody who would take the book seriously and treat it with respect. To be sure, there’s often great pressure on translators to work quickly. Publishers sometimes set challenging or even unreasonable deadlines, and if you expect literary work to make a serious contribution to your income, then you have to be prolific. Even so, what this translator did was just plain unethical. And then it’s triply distressing to see that book reviewers for newspapers and journals tend to assume that, because the translator is well known and experienced and has won awards, the translation must be all right, so they make the usual passing reference, some variation on ‘ably translated by X’, a stock phrase which is sort of a joke among professional translators, and ignore the obvious fact that there’s something clunky and confusing about the writing. One thing we could consider bringing into that discussion is whether we translators should try to fill the gap by publicly reviewing each other’s work more often. Some of the reasons we don’t are obvious. For instance, the community of Dutch-English literary translators is small and chummy. Most of us here in the Netherlands can fit around a large picnic table and sometimes do. I don’t want to alienate my friends and acquaintances, or even their friends and acquaintances, by saying less-than-glowing things about somebody else’s work. Fortunately, despite obstacles like these, there are a few good sources for book reviews that subject translators’ work to serious scrutiny — above all, the Three Percent blog. And finally, what was your last happy reading surprise? I’ll spare you my wonky enthusiasm for the main thing I’m reading at the moment, Antoine Berman’s Toward a Translation Criticism: John Donne, and instead tell you about the latest work of fiction that amazed me. A True Novel, Minae Mizumura’s Japanese reworking of Wuthering Heights, is a two-volume tour de force — after finishing it, I went back and re-read Wuthering Heights for the first time since my school days. To be totally honest, I prefer Mizumura’s version. Juliet Winters Carpenter, the translator, who worked together closely with the author to produce the English version, is one of my translation heroes. If you’d like to suggest someone whose reading you’d like to know more about, tweet me at @KateRLTB, or email me at kate dot brussels at yahoo dot com.